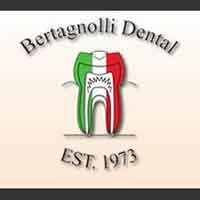 At Bertagnolli Dental we take pride in offering a full range of services using state of the art technology and techniques. We offer a comprehensive list of restorative, general and cosmetic dental care services to meet the needs of your entire family. If you are looking for a family dentist in Westminster, call our office today. As a family dentist we provide teeth whitening, veneers, implants, dentures, crowns, check-ups/teeth cleaning and sedation dentistry and more. Our courteous staff will give you personalized attention and answer all your questions. We also have an in-house lab to save you time and money. Experience all that modern dentistry has to offer. From our cheery atmosphere to our caring staff, when you are looking for a family dentist in Westminster call the office of Bertagnolli Dental today.